Anonimo is embracing the colors of an African Savannah with its 2018 Epurato Safari collection. 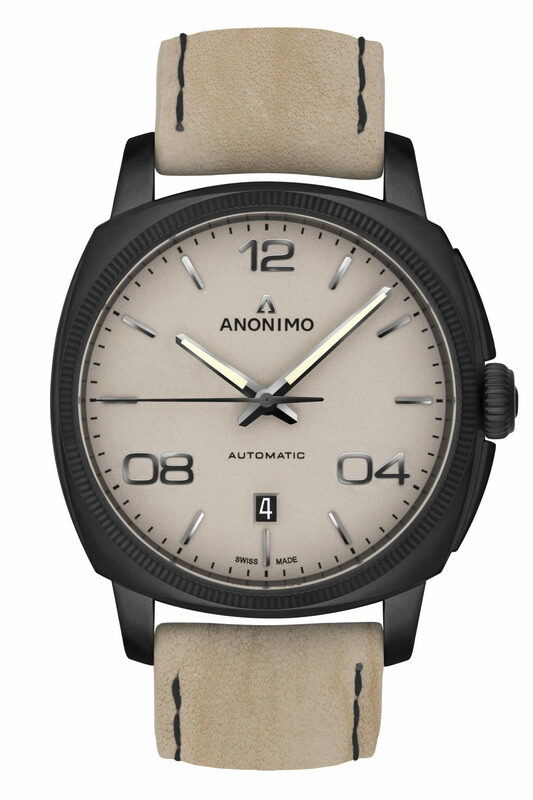 The watches, which are smaller than usual for Anonimo at 42mm diameter, have a matte black case with an interchangeable antelope leather bracelet. Customers can choose between black or pale sand dial colors. The watch is being promoted more towards conquerors of the urban jungle than the real thing, with styling as appropriate in the board room as in the sub-Saharan plains. The watches house Sellita SW 200-1 automatic movements with a power reserve of 38 hours and will sell for CHF 2490.